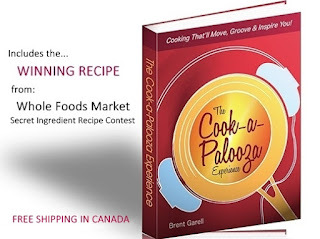 The Cook-a-Palooza Experience: The Winning Recipe! Here is my apple curry chicken recipe that took top prize in the Whole Foods Secret Recipe Contest. I would like to thank Whole Foods and Chef Michael Olson for presenting my recipe on the Food Network stage. 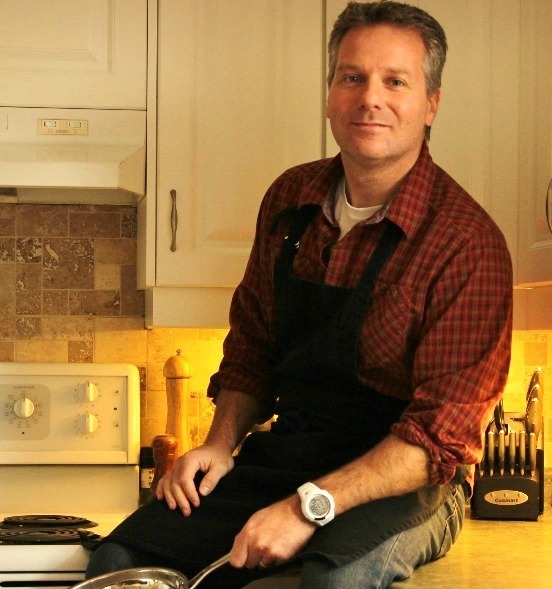 I would also like to thank all of the nice people who congratulated me and said they enjoyed the taste of my dish. It was a great feeling and I enjoyed the experience. I'm hoping to post a video of today's demonstration soon. Thanks again and enjoy! In a large deep10-inch skillet, heat oil over medium-high heat. Add chicken. Cook and stir until chicken begins to brown, about 5 minutes. Transfer chicken to a medium bowl and set aside. Add onions and apples to skillet. Cook and stir over medium heat for 4 minutes. Add flour, curry powder and cinnamon. Cook and stir for 30 seconds more. Return cooked chicken, with juices, to skillet. Stir in ginger, garlic, apple jelly, mustard, salt and pepper. Cook and stir until jelly melts and coats chicken, about 2 to 3 minutes. Remove skillet from heat. Add yogurt, dried cranberries and cilantro to skillet. Cook and stir over low heat, without bringing to a boil, until heated through. Serve on its own or over a hot bed of cooked rice or noodles. I'm a food blogger in Salt Lake and your Aunt Wanda is a good friend. Congratulations, and it sounds delicious! My Aunt Wanda told me about your blog and I have visited it a number of times. It's really well done and I can see why it's so popular. Let me know if you decide to give this recipe a try. I'd love to know what you think.